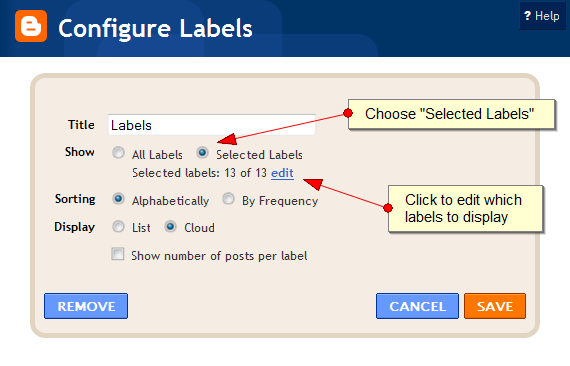 Then, you have the choice to choose list view or cloud view. 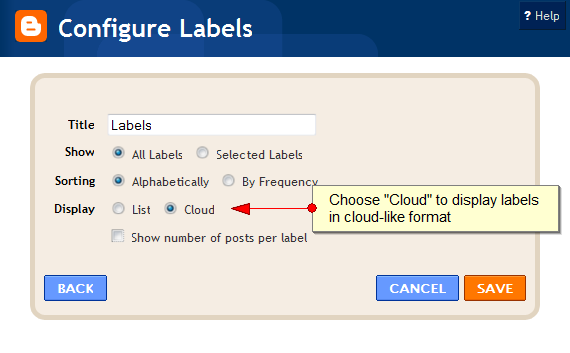 Check the cloud view button. 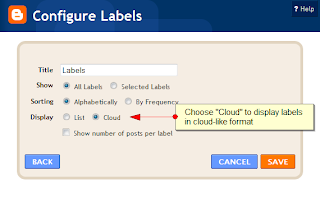 You've successfully added label cloud in 10 seconds! 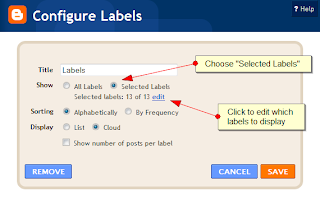 You can customize, and the best of its features is you can choose which labels to display. Re @Usamah: haha. tunggu la masa free ko. masa free aku da nak habis.